Elma Lucille (Lucy) Barnard Holcomb, age 90, passed from this life at Benchmark Healthcare of Monett in Monett, Missouri, on Tuesday, March 6, 2012. She had been in a declining condition for some time and under Seasons Hospice care near the end. Elma was born in Wichita, KS, on October 11, 1921. She attended Valley Center High School in Wichita and married Almond Marshall Barnard in 1938. They moved to Missouri some time later where Michael Barnard was born in 1947. Moving to Eureka, Kansas, Elma gave birth to their second son David in 1957; and then birth to their only daughter Bonnie in 1963. She settled back to Wichita after Almond Barnard’s passing in 1988. Elma enjoyed working several years as a Respite Caregiver in Wichita. Her unselfish desire to simply help her family as well as people she did not know will always be her undying legacy. 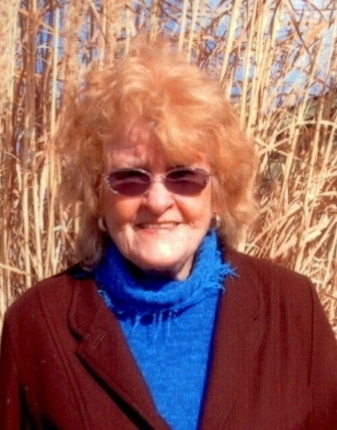 She was an accomplished piano player and continued as a student of the piano for many years. She had a Piano Teaching hobby in Wichita while she was married to Ben Holcomb and continued to play until her illness made it impossible. In 2009 she moved to Monett, MO, where she looked forward to being closer to her daughter and grandsons. Survivors include one sister, Lois Robison of Nevada MO; one brother, Bill Stires of Omaha, AR; two sons: Michael Barnard of Wichita, KS, and David Barnard of Lamar, MO; one daughter, Bonnie Sharpe of Monett, MO; six grandchildren; and seven great-grandchildren. Services for Lucy Holcomb were held on Saturday, March 10, 2012, at 2:00 p.m. at Bland-Hackleman Funeral Home in El Dorado Springs, Missouri, with a visitation Friday evening from 6-7 p.m. Interment followed in Clintonville Cemetery under the direction of Bland-Hackleman Funeral Home. Pallbearers were Jason Beavers, Andrew Long, Chris Sharpe, Arron Sharpe, Marshall Barnard, and Tritten Arlin Beavers.